Denise Cuthbert has published extensively on children and children's issues in the fields of adoption, child removal and child placement. With Marian Quartly and Shurlee Swain, she is the co-author of The Market in Babies: Stories of Adoption in Australia (2013), and with Ceridwen Spark edited Other People's Children: Adoption in Australia (2009). Her research has investigated Indigenous child removal, intercountry adoption, adoption policy and practice, the management of children in disasters, and child abuse in Malaysia. It appears in leading journals including Social Policy and Society, International Social Welfare, Australian Journal of Politics and History, Journal of Historical Sociology and many others. 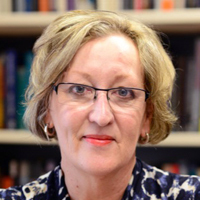 Currently she is the Dean of the School of Graduate Research at RMIT University. Related to this role, she maintains an active research and publication program in higher education policy, pedagogy and practice.